The Pentagon has said Turkey wants to use these SAM complexes to strengthen its missile defences, protect its territorial integrity and deter regional threats. 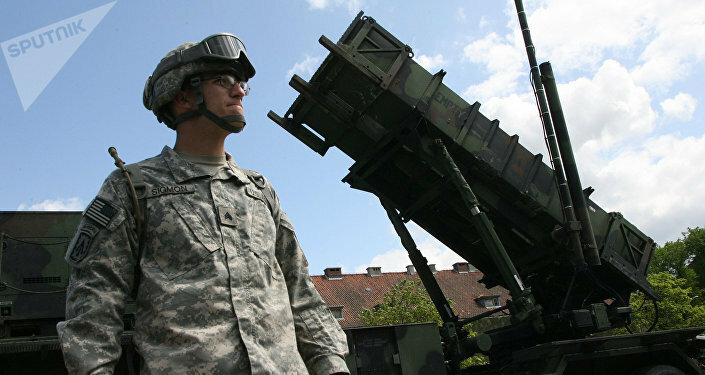 For a long time, the United States blocked the sale of Patriot missiles to Turkey, despite continued interest from Ankara. They have repeatedly come up with excuses to avoid the possible deal. So, what's behind such a drastic change in the US approach regarding the supply of missile defence systems to Turkey? Abdullah Ağar, a former officer of the Special Forces Division of the Turkish Armed Forces, and a security and counter-terrorism expert who took part in military operations in Syria, told Sputnik that Turkey has recently started strengthening its foreign policy and defence independence; and, of course, Washington is not happy about this, as this poses serious geopolitical and strategic risks to the United States. "There is a powerful shield being formed with the Russian S-300 and S-400 complexes in the area between the Barents Sea and the Suez Canal, which is aimed at effectively deterring the United States; that's why the Americans take such steps," the expert noted. According to Ağar, at the same time, Turkey is buying even more effective analogues of the US Patriot systems on much better terms; in other words, Turkey is actively seeking alternatives. "It's obvious that at the moment, when Turkish-American relations are facing a crisis in many aspects, the US doesn't want to lose the chance of receiving dividends from the supply of its defence systems. Therefore, the State Department has approved a possible deal to sell these Patriot missile systems to Turkey," the expert told Sputnik. For his part, Sergei Zheleznyak, a member of the State Duma's Committee for International Affairs, said he believes the US is scared to be left with nothing with regard to supplying missile defence systems to Turkey. "The US is trying to prevent the Russian supply of S-400 missile systems to Turkey; therefore the State Department has urgently approved the $3.5 sale of Patriot missiles. Washington is afraid to be left with nothing; they really hope that Turkey will continue buying US weapons," Zheleznyak said. The politician thinks that however much they try, Washington will still make extraordinary efforts to try to disrupt the S-400 deal. "Turkey has recently shown itself to be an independent player on the international stage, and it primarily proceeds from its national objectives and public interests. Despite the fact that Turkey is a NATO-member state, is is pursuing an independent foreign policy and rely primarily on themselves in protecting their sovereignty," he added. Yury Shvytkin, deputy chairman of the State Duma's Committee for Defence, told Sputnik that the decision to purchase US missile defence systems is an internal Turkish matter. "In any case, we believe that whether to buy the Patriot systems or not is a Turkish internal affair. Turkey should assess everything by itself. This is their domestic matter, and we respect this. But, obviously, our missile defence systems, particularly the S-400s, are, of course, much better than the US ones in a number of tactical and technical characteristics," the expert added. With regard to such a sudden US decision to approve the supply of Patriot systems to Turkey, Shvytkin emphasised that the contract for the supply of the S-400s is already being implemented; and with such steps the United States is trying to foist their military equipment on Turkey. "What we see here is unhealthy competition and even pressure, to some extent, with regard to military and technical cooperation with many states, considering that Turkey is a NATO-member. One of the reasons for all this pressure and coercion is, first of all, Turkey's NATO membership. And one of the tasks of the United States is not to lose a member state," Shvytkin pointed out. At the same time, he stressed that Russia is open for mutually beneficial cooperation with Turkey. "We are always open for dialogue and appropriate military-technical cooperation between Turkey and Russia on mutually beneficial conditions. We have quite similar, common interests, including those in the Middle East. I think that not only will this S-400 contract strengthen our bilateral relations, but it will be an incentive for mutually advantageous cooperation in the region," the expert concluded.